Description: Meet me by the pool! 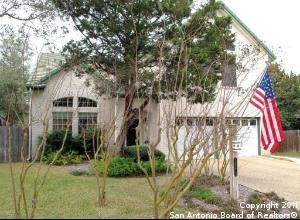 Lovely inground pool with heater in large private backyard with deck & pebbled patio shaded by majestic oaks! Limestone pathways lead to front yard & detached work shop with electricity! Take your breath away exotic wood floors! Awesome kitchen w/island, breakfast bar, built in china cabinets & desk, convection stainless steel electrolux oven....Wow....& this opens to the beautiful family room with a gas fireplace & views of the private sanctuary! Huge bedrooms & baths! Move in ready!